Admirable effort…this could be enlightening. Thanks Geoff, I’ve uploaded a copy and linked it in the article. I’ve been finding out some really interesting stuff on more recently published papers. It will soon be evident that the planetary-solar theory has potentially viable physical mechanism’s to explain the correlations we have found. I have several more installments to write before we get to those, but here’s a primer with some references of interest. The Mackey paper referenced above has some interesting areas. One statement in particular caught my eye. The sim hypothesis and SVALGAARD, CLIVER, and KAMIDE (2005)predict precisely this pattern of gradual rise to a very moderate maximum for the emergent Sunspot Cycle No 24.
chaotic phase of its orbit around the barycentre. I would like to know where the “SIM hypothesis” is derived from…is it Mackey’s opinion or perhaps a referenced paper? I am not sure I agree with the hypothesis but time will tell I guess. My thoughts are SC24 & SC25 will be the grand minimum cycles with a modest recovery during SC26. Geoff, I think it’s Mackey’s distillation of what he’s picked up mainly from Landscheidt, Fairbridge and Charvatova. For other readers, the SIM stands for solar inertial motion, and is related to the changes in the Sun’s velocity and direction relative to the barycentre of the solar system, the point where all the gravitational masses balance. Isaac Newton held that the sun is in free fall about this point, and so it ‘feels no forces’. The investigations undertaken by recent researchers show that if the sun is not homogenous, then forces will act differentially on material within the sun, and this will induce flows on it’s surface which may explain the quasi-cyclic variations we observe in solar activity. Prominent among these are the ~11 year sunspot cycle and the ~178 year cycles linked to prolonged and deep solar minima like the Maunder minimum of the 1600’s and the Dalton minimum of the early 1800’s. This 178 year period echoes the time it takes for the major outer and inner planets to return to a similar configuration. Geoff’s excellent site has much more on this. The link is on the right of the page in the Blog Roll. Fairbridge mentions Herschel, a truly great scientist who contributed in so many ways. I want to add that he was the first interdisciplinary cycles researcher of the modern era. He wanted to show that solar cycles might be related to climate. But there existed no decent temperature records. So he decided that wheat yields would be a good proxy (they didn’t use that word in those days). He couldn’t find wheat yield data but found a history of wheat prices and used those (figuring price is up when yield is low when it is too cold in UK). His results were very clear, and have been confirmed as very accurate asrecently as 2004. I seem to remember Herschel got some sceptical criticism from other members of the Royal Society at the time, but as you say, he has been vindicated. I’ll work some more info on him into my rewrite, thanks for the reminder. I was unable to get the above link to Rhodes Fairbridge to open for reasoons beyond me, but am I correct that this link is to Richard Mackey’s (most excellent reviw paper) “Rhodes Fairbridge and the idea that the solar system regulates the Earth’s climate”. I shall assume this to be so and comment further accordingly. I have studied Mackey’s paper, in depth and repeatedly, as I have also some of the key papers on which his work is based – Jose, Landscheidt, and of course particularly Fairbridge. Fairbridge attributes the expression ‘Solar Inertial Motion’ (SIM), in the context you have been discussing, to Paul Jose’s earlier work done around 1965 or so. Whether others employed this expression in this context even earlier than Jose I cannot say. 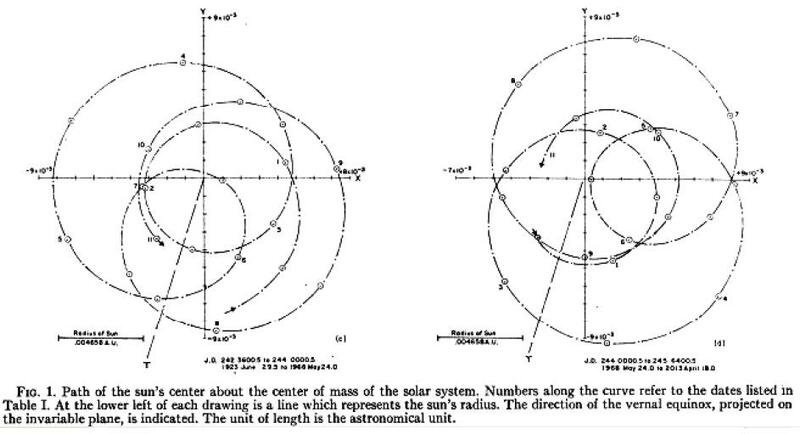 Likewise, to Jose, the development of the idea of the epitrochoidal 179 year ‘cycle’ whereby the Sun orbits the SSB in its seemingly haphazard manner; ‘dictated’ by the planets mainly the Jovian set. Fairbridge further developed understanding of the nature of the SIM phenomena, and as Mackey highlights, he determined by calculation that the SIM resulted in periods where the Earth/Sun separation distance varied by up to 1% (of the standard AU) over and above any of the Milankovich set variances. 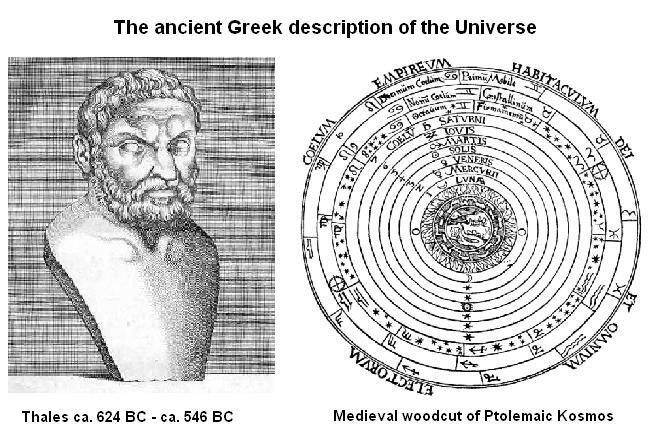 He recognised the potential for this to impact on Earth climate cycles and undertook further analysis to explore possible linkages; he surmised such impact would be by some combination of gravity, insolation, electromagnetic, or matter (solar wind/cosmic fluxes as I understand it). Together with co-researcher Shirley he developed a basis of relationship linking the Sun’s periodicity of ‘closest to the Barycentre’ passes with certain climate cycle periodicities. Landscheidt apparently had drawn somewhat similar relationships based on the Sun’s most distant passes. As to a 179 year cycle per se, my study of their analysis suggests this ‘cycle’ relates not to any identified Earth climate cycle as such, rather to the fact that each 179 years the SIM returns to ALMOST the same starting point, ie, the planets or more particularly the Jovians are back to almost precisely (but not quite) the same relative positions, from which the process starts to repeat itself in a new round of SIM circuits about the SSB each of about average Solar Cycle period. Some circuits display high periods of angular momentum, or more correctly rate of change of AM, and Fairbridge (and I gather others) believed these periods associate with impacts on the internal and surface dynamics of the Sun which possibly result in varying Solar fluxes in one form or another which in turn impact on Earth climate cycles. That’s pretty much my summarised take on the analyses of F, L, J, and a couple of others. Of course, I am not a scientist, just a very mature age student and avid reader of the science (and climate change rationalist – read AGW sceptic). But I have developed a very deep respect for what comes over to me as the quite brilliant development work of each of these scientists, building as they have on the work of Newton and other genius’ before them. Hi Lawrence, yes I gave a link to the Mackay paper in a followup comment above. Thanks for the headsup on the broken link, now fixed with an alternative which also links the Mackay paper. If you are trying to embed links in a comment, don’t bother. It’s easier to just put the URL in and let wordpress make a live link ot of it automatically.